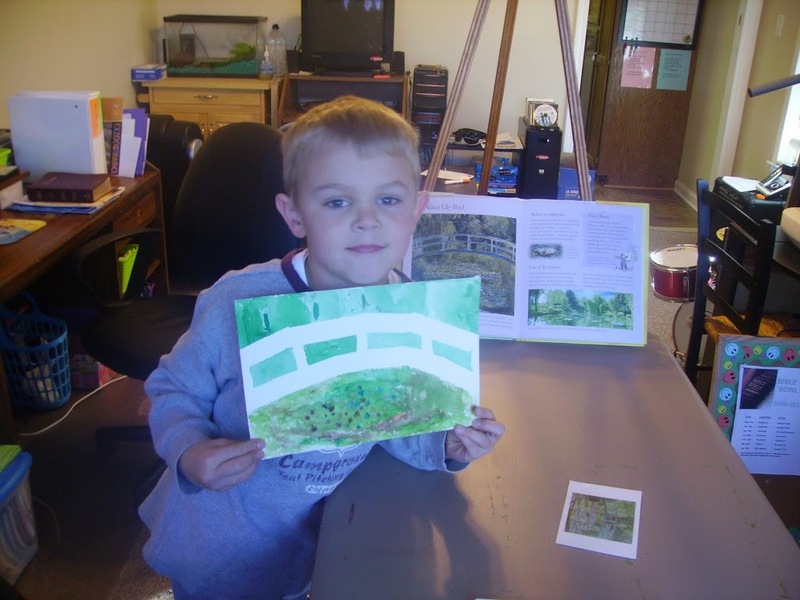 This term we will be studying Monet’s art work. We usually study one piece per week and keep that painting displayed all week until the next one is studied. By studying the artist, I mean that we learn when he lived and add his picture to our wall timeline, choose books from the library about the artist and his work, and sometimes paint a replica of one of his works. Studying a picture is done differently. To do a picture study we look at the picture until we can close our eyes and see it in our mind. Then each child narrates what he remembers about the picture. So all of our picture studies this term will be done using Monet’s art. 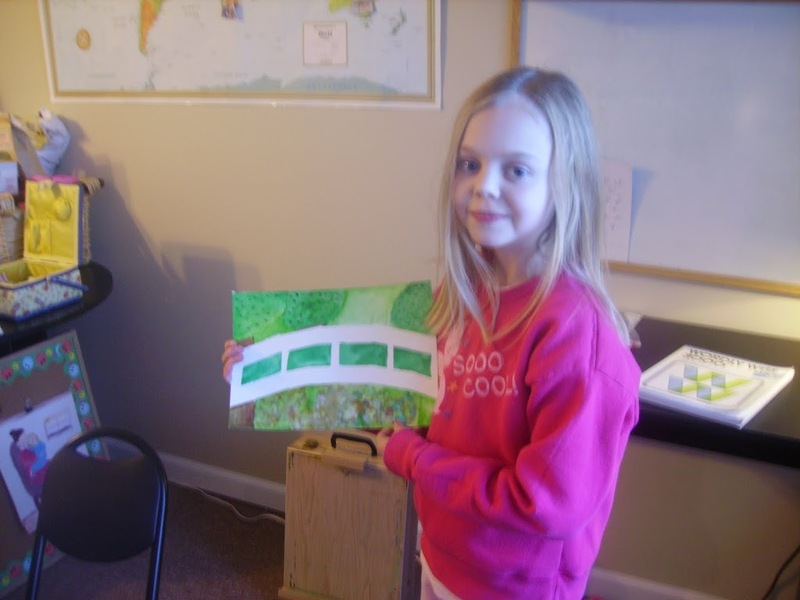 Here are our versions of Monet’s “The Water Lily Pond”. That truly inspired me to start doing more artist studies! I must admit that is where I lack in my homeschooling. Shame on me! I did get out a book for my four year old called 123 The Metropolitan Museum of Art. It’s a number book but based on works of art. It’s wonderful. However, I do need to focus more of my older kids attention on the beauty of art. THANKS for the post!